Note: I originally wrote this for StubbyDog to educate the public about the failings of breed bans, which are frequently proposed after a human has been seriously hurt or killed by a dog. Breed bans lead to a false sense of security, because it’s impossible to accurately determine how safe a dog is (or will be) based solely on looks or breed. The real cause behind dangerous dogs? People. It’s always the people. How does this tie in with DINOS? Because we all suffer when people fail to act responsibly. 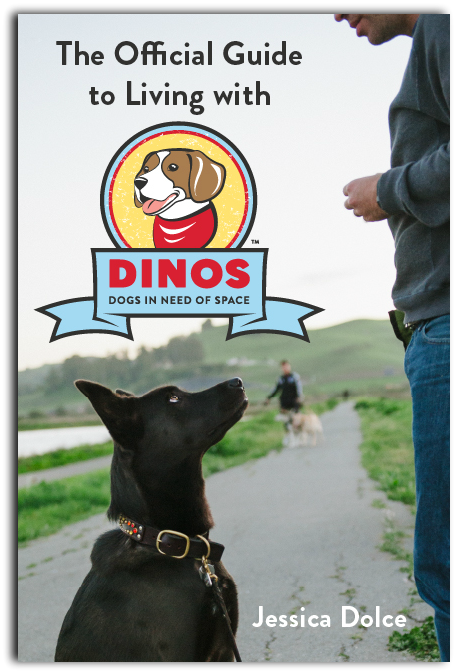 Everyone with a DINOS has had negative encounters with unfamiliar, uncontrolled dogs. It’s almost always due to the irresponsible actions of another person who is not properly managing their dogs. 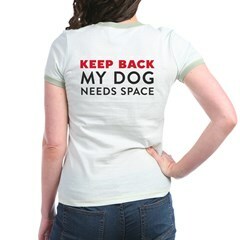 Sometimes it’s minor: a friendly, loose dog that chases another dog with no contact. And sometimes it’s major: an abused, starved dog is chained in their neighborhood and gets loose, seriously injuring a person. 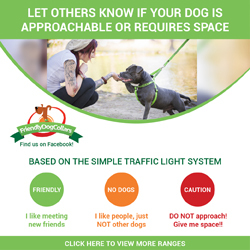 The most effective way to create a safe community, and prevent negative encounters with dogs (major and minor), is not by banning dogs based on looks or breeds or labels – it’s by creating and enforcing breed neutral laws that hold humans accountable for their dogs. People acting more responsibly would be pretty awesome for all of us. Are you a politician or resident in an area where a dog-related injury or fatality has recently occurred? If so, you’re probably working to determine the best way to prevent this sort of tragedy from happening again. Right now it may feel like dogs are posing a large threat to your community, but what you’re experiencing is actually quite rare. Dog bites are at historic lows in our country and, as a whole, we’ve never been safer. But there are certain criteria that are consistently present in regards to dog-related injuries, so as you look at the details of the tragic events in your community, here’s a reference checklist for the ingredients that, when mixed together, have the potential to create dangerous dogs. First, take a look at the function of the dog. Is the dog a member of the family? Keep in mind that just because a dog lives with a family doesn’t mean it’s a family dog. Determine why the family owns this dog. What purpose did they intend for the dog to serve? _Protection of property or other people? If you’ve checked any of the above, you’ve determined that the dog is not a family member. Now it’s time to look at the conditions the dog was living in. Family dogs are provided with basic care, such as food and water, regular vet visits, and time inside a home where they can socialize with their human family members. Take a look at the dog’s daily life. _Suffering from untreated medical problems or injuries? _Intact (and not being shown or bred responsibly)? _Living outside or in a garage full time? What did you discover? If you checked any of the above, then you know that the dog was not provided basic care and may, in some cases, have been physically abused. These are further indications that the dog was not a family dog and was the victim of mistreatment. Next, examine the people involved. The actions of a dog are always directly related to how they are managed by humans. Did the dog owner act in a reckless manner by creating scenarios where a dog, confronted with situations without proper management by humans, is likely fail? _Allow the dog to roam freely? _Fail to supervise the dog around children? _Fail to socialize the dog with people? If you’ve checked any of the above items, then you’ve determined that the dog was not properly managed by its owner. The human set the dog up to fail. Lastly, look at the history of the dog owner. When tragedy strikes, most people are slow to take responsibility for how their actions contributed to the problem. They may say they’ve done nothing wrong, but since you’ve looked deeply into their daily life with the dog(s) involved in the incident, now you can trace their history. It’s likely that this isn’t the first time the owner or their dogs have encountered trouble. _Have a history of criminal behavior? _Have past citations with animal control? _Not have a current license for their dog? _Have a history of training their dog to be aggressive? If you checked any of the above, then you’ve determined there was a history of reckless behavior on the part of the owner and a failure of law enforcement and/or animal control to follow up on a known problem. Every one of the items in this article is a warning sign that went unchecked for some time until a serious incident occurred. Luckily, the overwhelming majority of dogs that are victims of one or more of the criteria listed here still do not cause harm. We are safer now than ever before. So, what’s missing from the list? The breed of the dog is not a checklist item. That’s because any dog, of any breed or breed mix, can become dangerous in the hands of a reckless, irresponsible owner. Sadly, in the last few decades, abusive and neglectful humans have gravitated towards pit bull type dogs because false information and sensationalized myths, from various sources, have glamorized pit bull type dogs as status symbols for criminals. 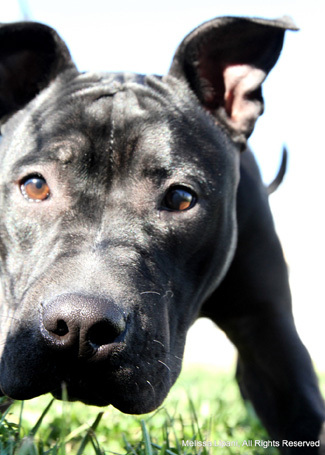 Just like any other dog, if pit bulls are not treated as family dogs, then they become canine victims, set up to fail by humans that care little about their health, training, or for that matter, the law. 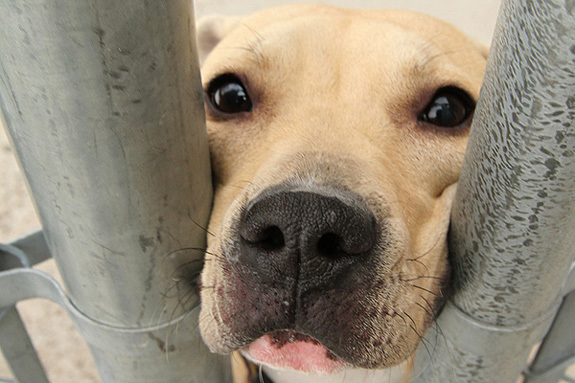 If you choose to ban pit bull type dogs in an attempt to make your community safer, these reckless humans will move on to another breed (like they did earlier this century when they chose to own German Shepherds or Dobermans) or it will simply push their pit bulls further underground, hiding from the law, where they will go without medical care and proper socialization. Now that you’ve looked at the checklist, it’s plain to see how those circumstances, exacerbated by a breed ban, could create a dangerous dog. It is time to move away from fixating on the breed if you want to create safe, humane communities. Instead, focus attention on the elements present in this checklist, since it’s the cocktail of human-related criteria listed here that is to blame. By addressing these items through the creation and enforcement of breed-neutral dangerous dog laws which address reckless owners, you’ll be creating truly safe communities, without punishing the millions of families with pit bull type dogs that are loving, law abiding guardians of family dogs. listing out warning signs – a media first? Resident Dog vs. Family Dog – What’s the Difference?